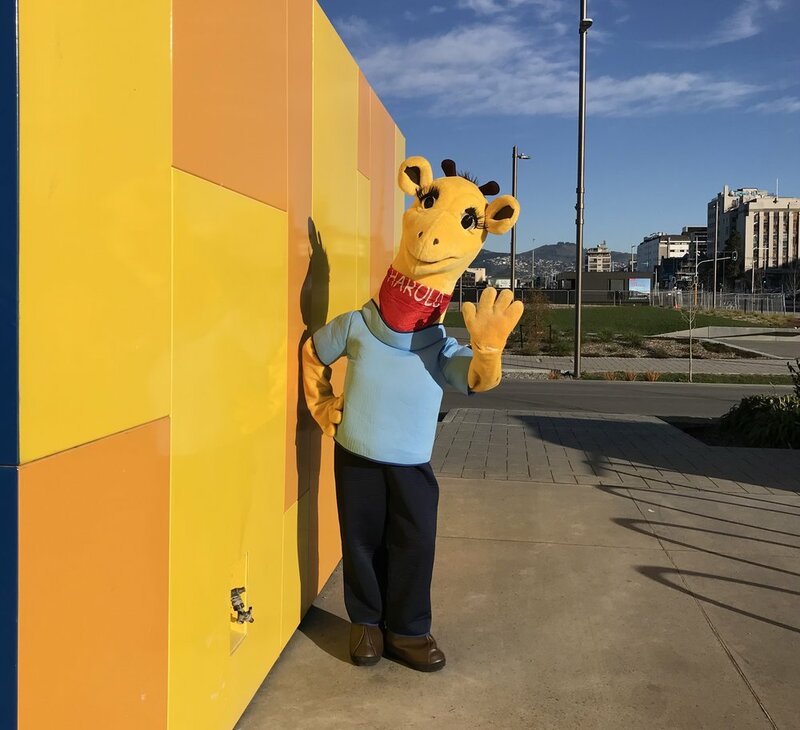 Life Education Trust Canterbury, with their mascot Harold the giraffe, recently celebrated their 30th anniversary in Christchurch. The Trust's proactive health and wellbeing programmes for primary school children are largely funded by the local community, so they were keen to use their anniversary as an opportunity to thank all their supporters and raise brand awareness. As huge fans of the Trust's work (and our old friend Harold! ), we jumped at the chance to support the team with their communications planning and media relations. Harold on The AM Show. Image source: Life Education Trust. A key point of interest surrounding the anniversary was how the Trust's programmes have changed over the past three decades to meet the increasingly complex challenges children face today. These issues include New Zealand's high obesity rate, suicide rate, high incidence of bullying in schools and the use of technology. We crafted a media release on this topic and supported the Trust's Fundraising Manager to pitch the story to key media, successfully securing a television interview on The AM Show for Life Education's National Chief Executive. Life Education's Fundraising Manager Meri and The Word Lab's Lead Consultant Hannah helping out Harold at a brand activation at the Margaret Mahy Playground in Christchurch. We also helped to develop a brand activation for children and their families, which was held at the Margaret Mahy Playground. Our Lead Consultant Hannah had a tonne of fun handing out soft toys and taking photos of the children enjoying their meet and greet with mascot Harold at this event. The Trust was able to use photos from the activation at their anniversary dinner, which was held to thank supporters, staff and donors who have contributed over the past 30 years. After the anniversary week, we supported the team to send out their first e-newsletter to their stakeholders - the start of a regular communications plan to maintain awareness and generate goodwill. Since our work together, the Trust has reported a rise in local brand awareness, with more schools also contacting their team to secure their bookings for Life Education. "Exceptionally professional, natural enthusiasm and has a passion to work with not-for-profits - these attributes made it easy to work with The Word Lab. Hannah is super efficient and organised. She provided us with some great ideas and inspiration to build on our promotion surrounding our 30th anniversary in Canterbury. Hannah easily understood our organisation and crafted communication pieces that were exactly what we were after. With her media release, we were able to secure a live interview on The AM Show, giving Life Education national credibility. From this, and other activity Hannah helped put together, we have noticed an increased interest from schools." - Meri Wynen, Fundraising Manager, Life Education Trust (Canterbury).